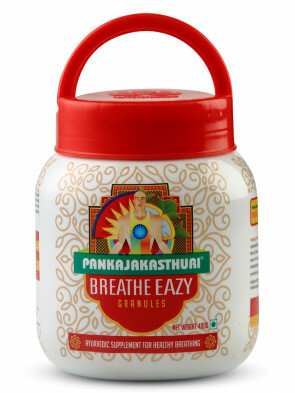 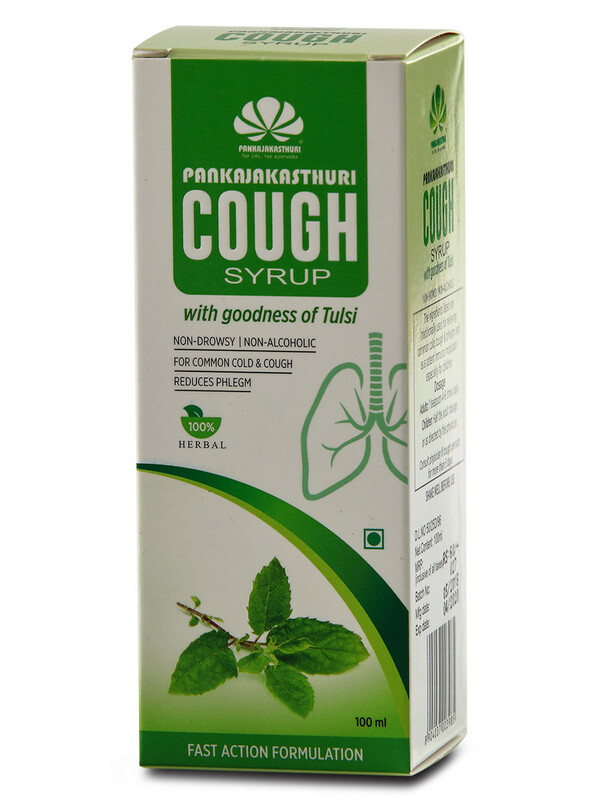 Pankajakasthuri Cough Syrup with Tulsi, a blend of 100% herbal ingredients with goodness of Tulsi. 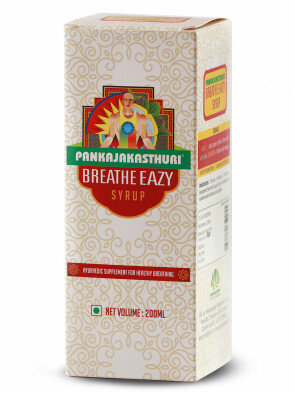 This syrup does not contain any steroids or sedatives or alcohol and is free from side effects. 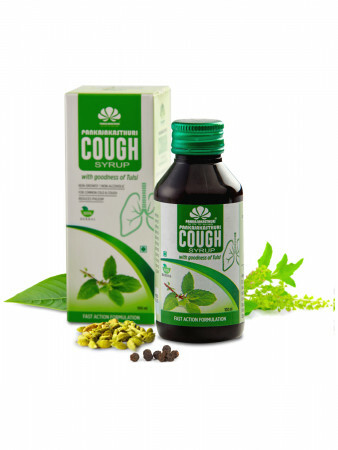 * It is useful in relieving Common cold and Cough. 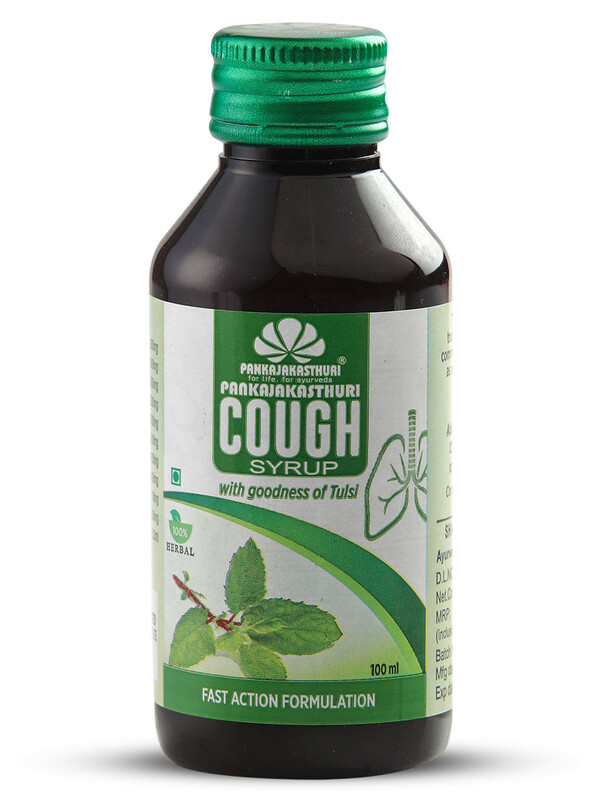 * Adverse Effect Not Reported. 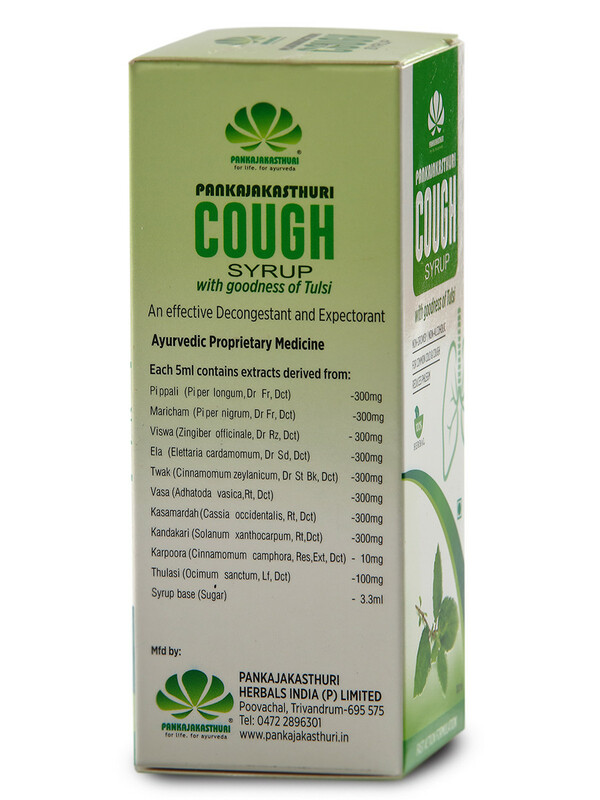 * Consult physician if cough persists for more than 5 days. 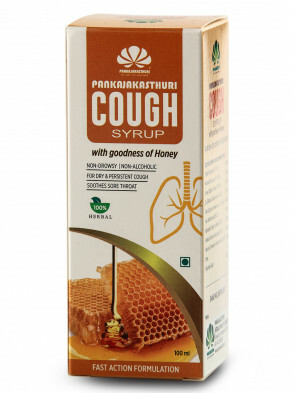 Adults: 1-2 Teaspoon 4 to 6 times Daily. 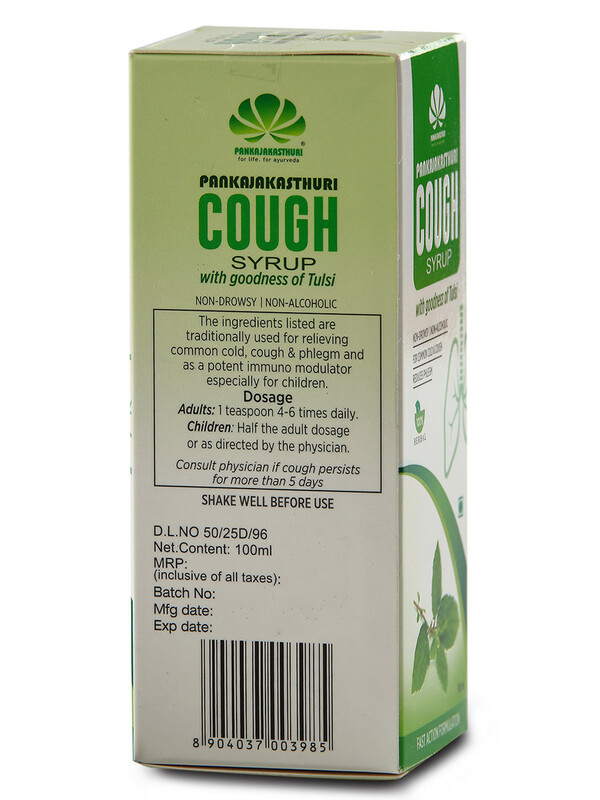 Children: Half the adult dosage or as directed by the physician.